Parliament House, Canberra. File photo. Australia has a new Prime Minister, Scott Morrison was elected by the Liberal party room today 45 votes to 40, defeating Peter Dutton. Malcolm Turnbull stepped down rather than contest the vote. 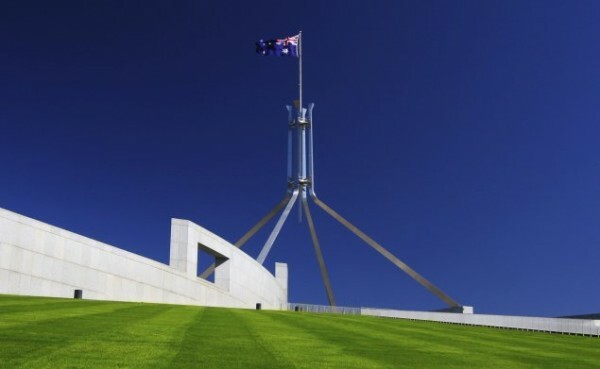 About Regional put a number of questions to the region’s federal politicians about today’s leadership change, the following statements were received. “Today, the Liberal Party held a meeting to choose a new leadership team. During this meeting, Scott Morrison was elected as leader, and Josh Frydenberg as deputy leader. “In keeping with my dedication to open and accountable government, I declare that I voted for Peter Dutton and for Josh Frydenberg. “We were well served by six very strong candidates. Scott Morrison is someone I know well and I feel that in terms of competence and experience, he will be an excellent Prime Minister. “There was a spirit in the Party Room recognizing the need for unity, and that need, from my personal observation, is fully understood by all concerned. “We must now work for the good of the people of Australia. We believe in a centre-right party running a centre-right government in accordance with our published beliefs in the tradition of liberal and conservative thought. “I congratulate the Hon. Scott Morrison MP, Federal Member for Cook on his election as Leader of the Federal Liberal Parliamentary Party today. “I congratulate the Hon. Josh Frydenberg MP, Federal Member for Kooyong on his election as Deputy Leader of the Federal Liberal Parliamentary Party today. “I pay credit to the Hon. Malcolm Turnbull for his outstanding contribution to Australia as the 29th Prime Minister and thank him for the significant commitment he showed to the people of Gilmore. “I would also like to acknowledge the Hon. Julie Bishop for her outstanding contribution as Deputy Leader, and thank her for the significant commitment she has shown. “I look forward to working with the new Prime Minister and continue providing the people of Gilmore with the sensible policies that matter and the sound economic management that they have come to expect from the coalition team. “I am proud to be part of a Labor team that is stable and united, and that is 100 percent focused on the Australian people – not ourselves. “It doesn’t matter whether it’s Malcolm Turnbull or Scott Morrison, the Liberal Party has forgotten about the people, they have been overtaken by division, chaos and self-interest. “They have stopped governing. I know the community is over this drama, and so am I.